Definition at line 3624 of file CCopasiXMLParser.h. Definition at line 3631 of file CCopasiXMLParser.h. Definition at line 8238 of file CCopasiXMLParser.cpp. Definition at line 8243 of file CCopasiXMLParser.cpp. Definition at line 8315 of file CCopasiXMLParser.cpp. 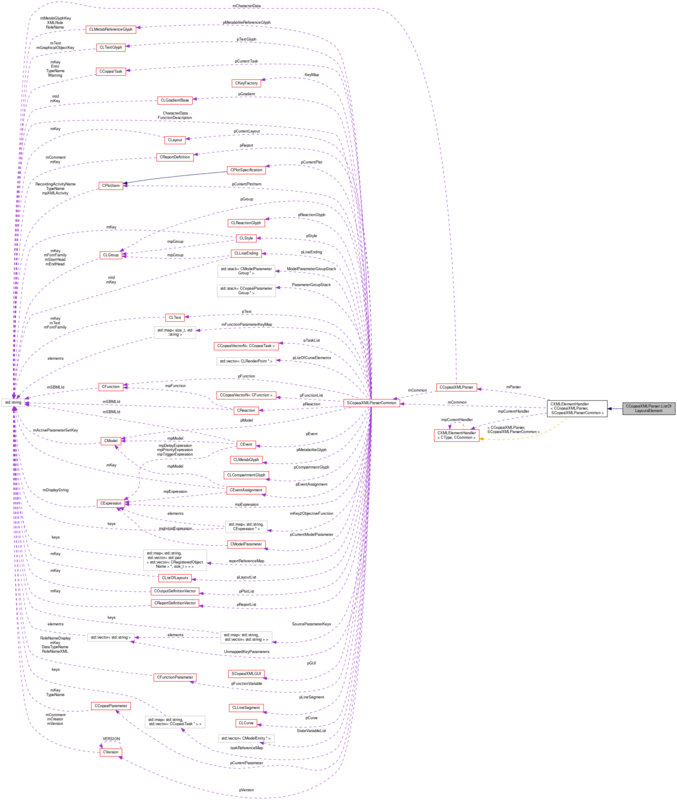 References CCopasiVector< T >::add(), CCopasiMessage::EXCEPTION, CCopasiXMLParser::mCommon, MCXML, CExpatTemplate< CExpat >::mParser, SCopasiXMLParserCommon::pCurrentLayout, SCopasiXMLParserCommon::pLayoutList, START_ELEMENT, and UNKNOWN_ELEMENT. 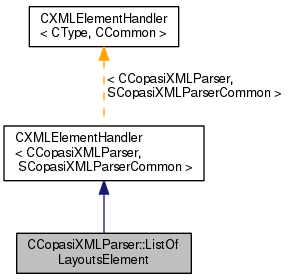 Definition at line 8246 of file CCopasiXMLParser.cpp. References CCopasiMessage::EXCEPTION, CCopasiXMLParser::mCommon, MCXML, CExpatTemplate< CExpat >::mParser, SCopasiXMLParserCommon::pLayoutList, and UNKNOWN_ELEMENT.